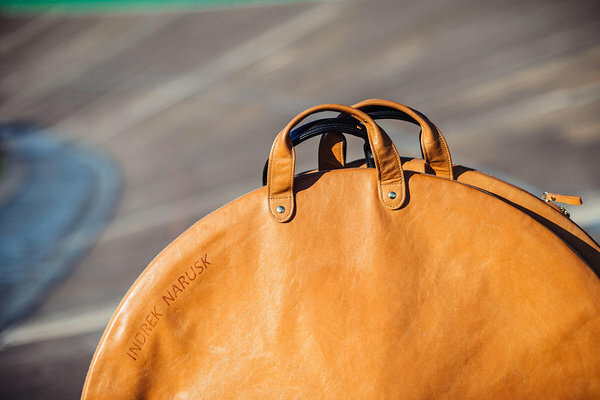 Indrek is the man who likes things around him to look good and made specially for him. As a founder of internationally renowned bicycle brands Velonia and Viks it is only logical that he celebrates every single detail he comes across. 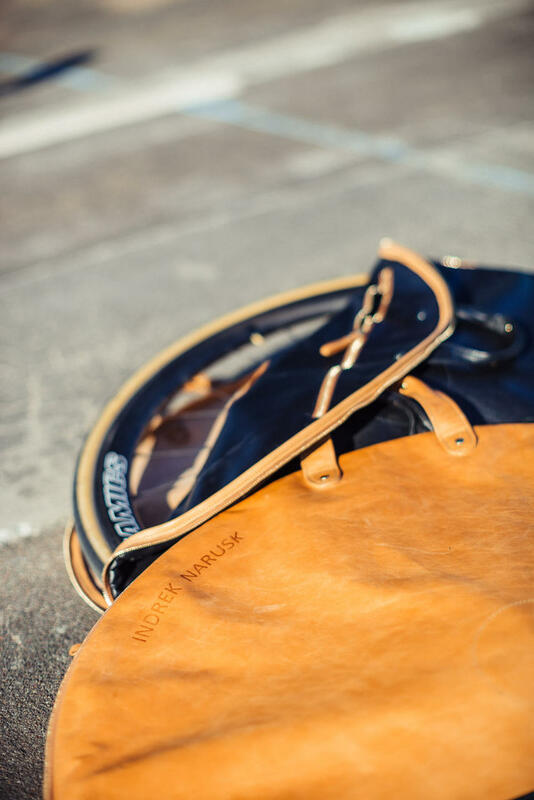 Thus I wasn’t surprised at all to see him at my studio door one day wanting to order leather bags not for himself but for his bicycle wheels! Indrek is a good example how engineering degree, good taste and thinking out of the box can make something big. If he had taken seriously the expression that it is pointless to invent a bicycle, Estonian design would not have two very cool members like Viks and Velonia. Velonia is the first bicycle brand in Estonia, that offers good balance in quality and cost among bespoke bicycle frames and Viks with its extraordinary form has made friends on both shores of the ocean. Indrek is a crazy bicycle fan himself and evidently knows what makes bicycle geeks’ hearts race. As Indrek has combined his hobby and work, he travels a lot and also needs to transport different kinds of bicycle wheels. He is wise enough to invent and design all the necessary widgets himself but leather was the department where I and my superwomen got to lend our helping hands. And now Indrek has the whole set – the light carbon beauties may rest in custom made pouches during their lengthy travels. Indrek’s CV and portfolio are truly impressive. Observing him aside it seems that there are at least two things that he can do exceptionally well – focus on the important things and choose only the activities that really make him tick. It feels that he wouldn’t even be distressed about monkey wrench in the works as he probably has a spare on him anyways. 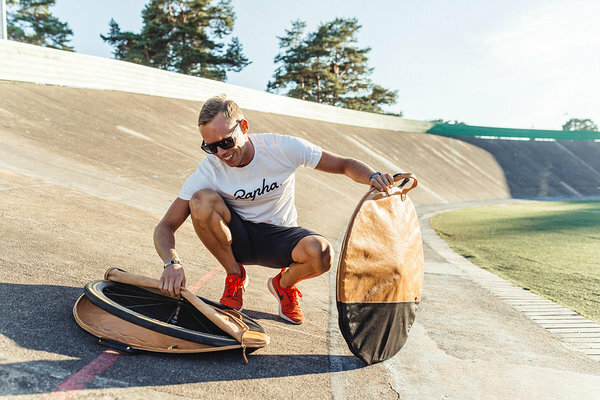 If he manages to keep this attitude and stays on his track, Estonia will not only shine in IT but will also be the innovator in bicycle business. The pictures are taken at velodrome by Tõnu Tunnel.